At Originals by Dalia, our goal is to not only to help you design and decorate your home, but to make the process easy and enjoyable. We are a full service design company with a wide range of experience in both fashion and interior design. 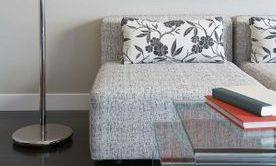 We can help you with all phases of design, decorating, color analysis, staging or simply accessorizing. Our excellent reputation and long list of satisfied clients attest to our superior attention to detail, clear communication, honesty and integrity. Let's discuss your ideas! Your private consultation is just a phone call away. Color is the the spice of life and a reflection of personality. It is inviting and sets the perfect mood. My "Color Me Over" process is quick and easy and takes the guesswork out of color selection for your home. 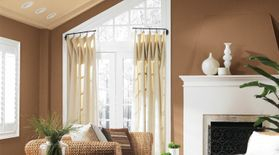 Custom made drapes will enhance your room and allow for filtered lighting or blackout . Add a few pillows, wall art and a centerpiece and you have created a warm and inviting space. Thank you for contacting us. We will get back to you as soon as possible. Thank you.